In an effort to continue building forward with today’s homebuyers, S&A Homes is excited to announce that five brand new floor plans have just been added to the S&A Homes Streamline Series collection of homes! Three new single-family home designs including a two-story plan with first-floor owner’s suite, a single-level ranch plan and a four-bedroom design that includes three-and-a-half baths. Two new townhome designs are also available. Designed specifically to maximize usability and efficiency, the Streamline Series features highly-functional, modern layouts with open, flexible spaces. The Streamline Series puts homeownership in reach with affordable pricing, a simplified buying process and faster build time, all while maintaining the same quality construction and energy-efficiency that S&A Homes is known for. From buying to building, S&A Homes has worked hard to make the entire process more efficient and “streamlined,” meaning it is possible for homebuyers to move into a brand-new home in less time than closing on a resale home! Due to an efficient selection process, it is now easier than ever for homebuyers to personalize their home by choosing from carefully curated design packages for the kitchen, bath and flooring, meaning the actual homebuilding process can begin sooner. The collection of 10 Streamline Series home designs range from 1,320 to 2,166 square feet of thoughtfully designed living space with three-to-four bedrooms, two to three-and-a-half baths and one- to two-car garages. The Glynwood ranch design, offers 1,320 square feet of thoughtfully designed living space with three bedrooms, two baths and a two-car garage. Featuring three bedrooms, two-and-a-half baths and a two-car garage, the Ashwood offers 1,884 square feet of living space. The new Wynwood home design is the largest offering in the Streamline Series and the only four-bedroom option. This traditional-story design offers four bedrooms, three-and-a-half baths and a two-car garage. New townhome offerings are also new to the Streamline Series: the Bradfield and the Woodfield. The Bradfield, offering 1,470 square feet of living space, features three bedrooms, two-and-a-half baths and a one-car garage. The Woodfield townhome features three bedrooms, two-and-a-half baths and a two-car garage with 1,770 square feet of comfortable living space. 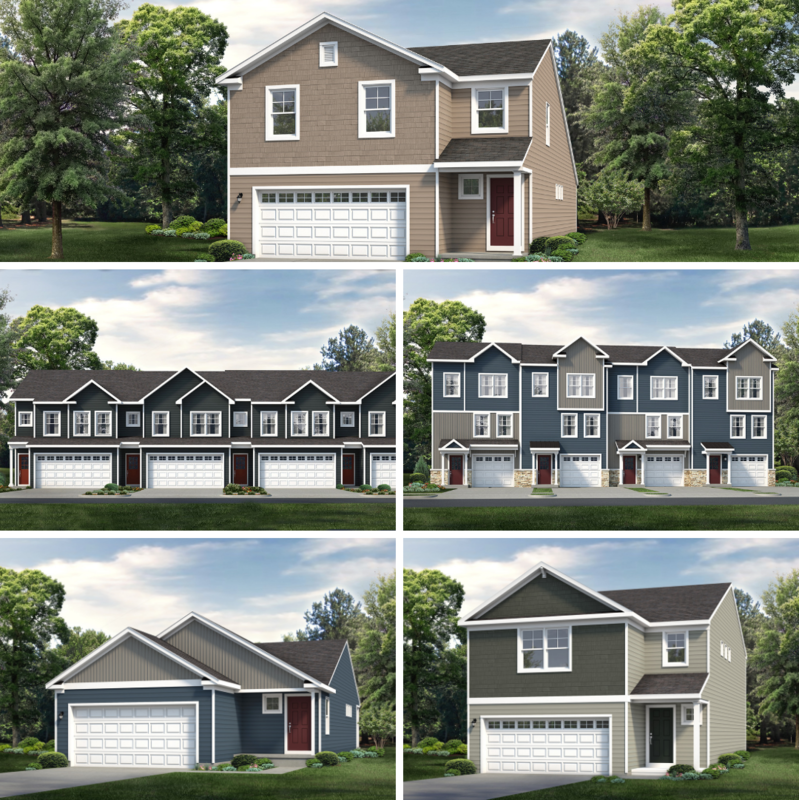 The Streamline Series is currently being offered in six communities throughout Central and South-Central Pennsylvania, and these plans can also be built on buyer-owned land. Contact S&A Homes at 1-855-SAHOME1 to learn more or sign up for the VIP Interest List to be the first to receive updates on upcoming communities. Brand New Streamline Series Plans Now Available!